Travelling in groups is much more fun than split travelling and that is especially true when you are on a tour with a group of friends or family. Not only it’s more fun and entertaining, but also you save a lot on both time and money. Mini bus charter in Perth is a smart choice for those who are visiting the place for the first time. The professional services and facilities provided in the bus add to the comfort of travelling and eliminate the hassle of using Google Maps. There are many other benefits of hiring minibus charter services. With charter bus rentals, you can be rest assured about a convenient and comfortable travelling from one destination to another without any trouble of navigating your own way while driving through a place, especially when you are there for the first time. There’s no running here and there or getting mad at hitting the right spot. The bus driver will take you to your places of interest without you having to say or do anything. Sit back, relax and enjoy the facilities of the bus while moving between destinations at ease. It doesn’t really matter if you have the window seat or not; the essence of travelling within the comfort of a minibus is still the same. It’s a given fact that travelling in buses is much cheaper than hiring a cab or car rental service. With a bus, you can explore the city, avail airport shuttle services, and go for an adventurous tour or sightseeing in iconic places. You have the flexibility to move between one spot to another without worrying about fuel endpoint or any kind of surcharges, apart from the standard rate . 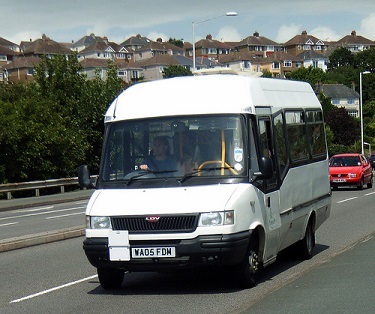 Given the versatility it has got to offer, you have endless possibilities by hiring a minibus. Having someone experienced at the wheels and someone with proper knowledge about the circumference of the region he’s required to cover, is a perfect combination for safe and reliable travelling. You have that inner feeling of security when you are on the passenger’s seat and being driven by someone who knows his job better than anyone else inside the bus. Charter bus drivers are committed to ensure the safety of their passengers and get them to their destinations in a punctual manner. A single bus can remove a significant amount of cars running on the highway, thus allowing for less toxic gases polluting the atmosphere and lesser traffic on road. You save your money on petrol, diesel or gas prices and also contribute to the environment by playing your part in eliminating some amount of carbon emission. Imagine the reduction in air pollutants when a single fuel-efficient bus carries some amount of people who would have otherwise chosen car services, leading to higher amount of carbon dioxide emission. If we reduce by just one single car for every day trip, you will know that the amount of emission reduced can be significant in the long term. Do your part for the environment today and use mini bus charter!